Fact or Fiction? Dental Myths Solved! As you go through life, you develop the ability to decipher fact from fiction. 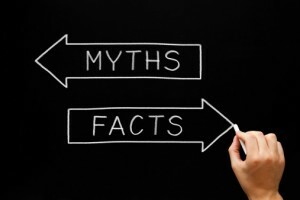 From old wives’ tales to urban myths, there are many stories out there that people are constantly trying to figure out whether they are true or not. Ironically, the same thing goes for your smile. There are many dental myths that people want to get to the bottom of, and we would like to clear a few of them up for you! One dental myth that may be confusing people is if bleaching your teeth weakens your smile. Fortunately, that is not true! If you are wanting to whiten your smile, you do not have to worry about your smile weakening, as the bleaching gel used to whiten smiles only affects the color of your enamel, not the strength. Though it is common to experience sensitivity after whitening your smile, it does not mean that your smile has gotten weaker. Another common myth going around regarding your smile is that you should not brush your teeth if your gums are bleeding. Although it may seem to makes sense not to brush your teeth if your gums are bleeding, that is actually the opposite from what you really want to do. If your gums are bleeding, that is typically a sign of plaque and other particles aggravating your gums and other soft tissues. In order to stop the bleeding, you want to brush your teeth thoroughly. Although it is important to be as informed as possible with many things, one thing you definitely want to know as much as possible about is your smile. Having a healthy smiles often times result in good overall health, and that should give you a reason to smile!